I confirm I am at least 18-years-old. I would like to receive The Manufacturer PR Service news alerts. I would like to receive emails containing event information from The Manufacturer. Fabric building specialist Rubb has created a new hub for vehicle loading operations for Walkers Transport in just six weeks. Walkers Transport, based in Leeds, UK, is a leading transport and third-party logistics specialist, providing custom transport solutions to leading manufacturers, retailers, wholesalers and distributors. Walkers Transport is also a Platinum Member of Palletways UK – The UK’s largest palletised freight network. 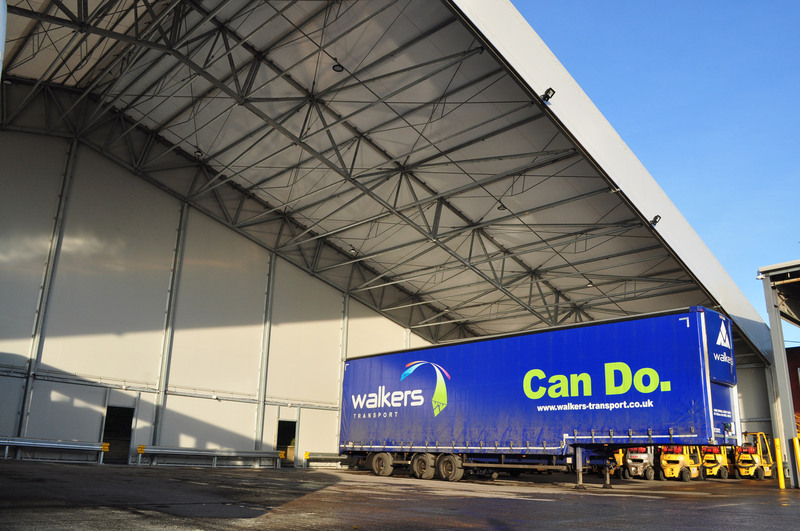 Having grown rapidly in recent years, Walkers moves over 1.2 million pallets each year. Now further growth is being targeted, sparking the need for a Rubb building. Since 2012, Walkers Transport has used a drive through warehouse system, and year-on-year they have seen the business grow. This increase in operations has starting to exceed efficiency, creating vehicle waiting times. Working together with Rubb, Walkers decided to construct a new clear span loading facility to increase workflow and efficiency. Colin Hunter, Group Transport Compliance Manger, found out about Rubb from another customer who used Rubb as their business growth solution. Within this tight time-scale, Rubb had to design, manufacture and construct a custom, open-ended loading facility. The structure needed to feature a clear internal area to maximise the use of space, something that “competitors could not offer”. 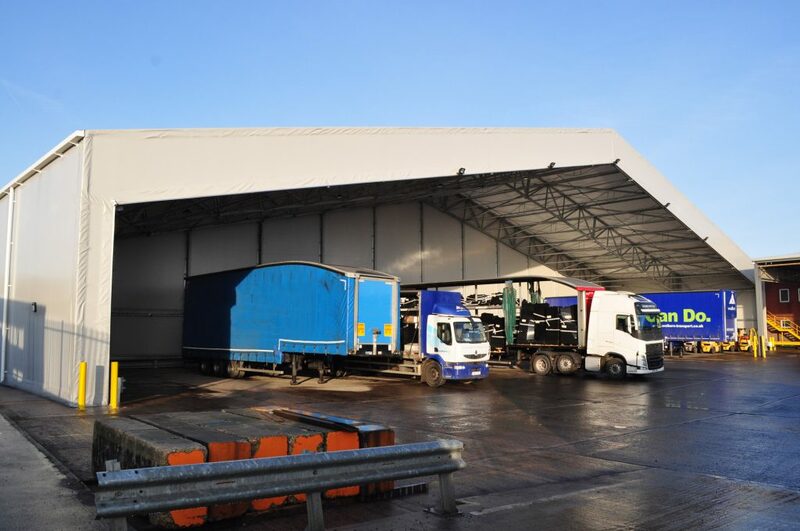 The new building, measuring 59m wide x 16m long with an apex height of 14.2m, can accommodate all lorries and wagons. 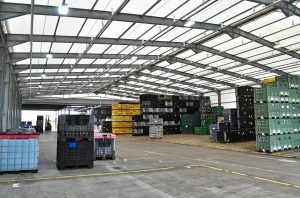 As well as having one large open gable end, seven door openings were created at the rear of the facility for personnel to use when signing in their loads. The framework of the buildings is constructed using hot dip galvanized steel. The galvanizing process was performed after framework production to ensure maximum protection against corrosion. Lightweight PVC cladding was used to cover the facility.